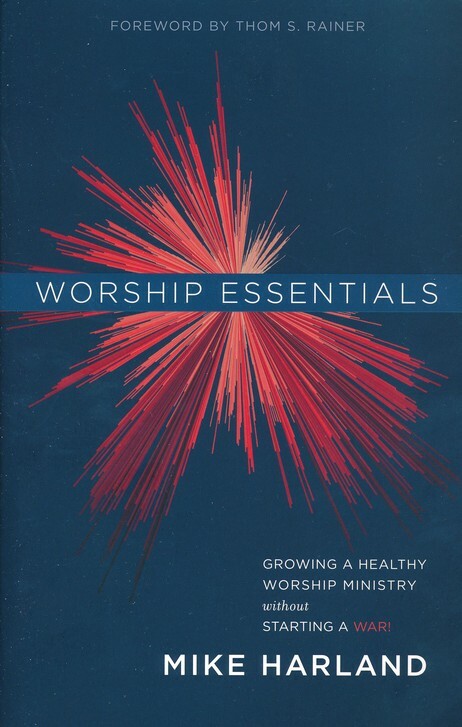 I was excited to get this new book by Mike Harland called Worship Essentials. I always enjoy listening to Mike’s segments regarding worship on the Rainer on Leadership podcasts with Thom Rainer, and from his own WorshipLife podcast, so when I heard Mike was coming out with a book, I knew I had to read it. The title sounds good, but the subtitle was actually what intrigued me! Worship Essentials: Growing a Healthy Worship Ministry without Starting a War is organized around four values that are necessary for any church that desires to have a healthy worship ministry. Mike shares his wisdom from past experiences and failures, and from his time as Director of Worship at Lifeway Christian Resources. Before getting into the four main values that shape the book, Mike takes one chapter of introduction. He talks about what defines true worship, and then brings up the ongoing but unfortunate topic of worship wars that have been going on in the church for far too long. Then, Harland begins to describe the four necessary values, beginning with “Tell the Story”. First, he challenges the church to have a complete and thorough biblical understanding of Jesus, and have songs that songs that teach about Him and admonish and encourage the church from His Word. He also speaks about the importance of testimonies and stories from God’s people about God working in their lives to build faith. The second value is to “Make True Disciples”, not only with those in the worship ministry, but with the entire congregation through the songs that we sing. Mike described the power of music, when you combine the melody of the song with the truth of God’s Word. He stressed, though, how making disciples needs to be about more than just the music, but building into the lives of others, and making strategic decisions. Then, in the third value, Mike gets more practical as he discusses ways to “Engage the Body” so that the worship service is not just a performance, but something where congregational engagement is valued and practiced. Mike gives some great tips for worship leaders about how to put together a worship services that doesn’t ignore or leave out the congregation, but is designed for them to engage in worship. Harland also touches on the issue of worship desecration, and why there is value in bringing the generations together. Finally, Mike challenges leaders to “Aspire with Purpose”, by valuing excellence and eliminating distractions. He concludes by challenging leaders to lead like Ezra, to study, obey and teach. Worship Essentials is a great resource that all worship leaders and pastors should read. Mike said that many of the calls he gets are from pastors asking for help with their worship ministry. This book is definitely a resource for senior pastors, to help them understand more about worship, and what it takes to grow and maintain a healthy worship ministry. For worship leaders, this book is a great challenge to make what you do more than just about music. 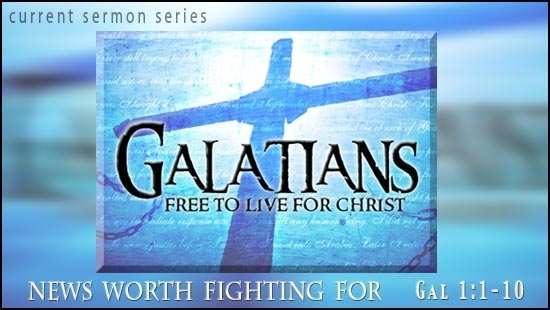 “We are not called to make music – we are called to make disciples” (p. 69). That was one of my favorite quotes from the book. It is so easy to have music be the most important thing because it is the most urgent. We need to plan setlist every week, rehearse the band every week, and that is the most visible area of our ministry to the church. But, it has to be about making disciples who use music to glorify Him. There was only one chapter that left me with more questions than answers. That probably isn’t a bad thing, but I guess I was looking for answers in this area. In his chapter on “Worship Desegregation”, Mike describes how we ended up segregating the generations in worship, and talked about the dangers of having a service that is aimed at a specific generation with music and other elements. He also writes about how a blended service may not be the answer, either. In his response, I appreciate and agree that instead of having musical styles be the main concern, we need to develop a culture where we care about one another and the main concern is about developing a “healthy, disciple-making, legacy-building community of faith” (p. 121). I agree that it is better to have the generations together in the same room, instead of separated, and that music should not be the main concern. We have adopted this Unified Worship strategy in our own church in the last year, combing different types of service styles into one unified service. I know it shouldn’t be about the music, but yet, we still need to sing songs in our gatherings. If it’s not blended, and it’s not age-segregated services, then what should a worship service look like that combines all the generations? What music should you include? That’s the only missing piece in this chapter that I would have liked further exploration and suggestions. Over all, though, Worship Essentials is an excellent book that all should read! I finished reading the book and have a renewed fervor for implementing these four values in our worship ministry. I can highly recommend this book! I am always looking for great books to recommend on worship, and True Worshipers by Bob Kauflin is definitely on the list. If you have been involved with worship ministry for any length of time, you probably are already familiar with Kauflin’s previous treatise on worship, Worship Matters. Where Worship Matters is aimed more at those in worship leadership at their churches, True Worshipers can be read and appreciated by anyone, whether you are in worship leadership, on the worship team, or someone just sitting in the pew. True Worshipers: Seeking What Matters to God approaches the topic of worship from the point of view of the everyman, since everyone is engaged in the activity of worship, whether they realize it or not. Anyone who is involved with music at their church in any way, whether you are singing songs in church from the congregation, on the team, or leading the ministry can pick up this book and learn something about what it means to be a true worshiper. In True Worshipers, Kauflin explores many of the issues related to worship that he has seen Christians struggle with over the years, many related to our worship gatherings. Starting with the familiar passage in John 4, Bob explains what worship is, and that a true worshipper is someone who worships the Father in Spirit and truth. He explains how worship doesn’t begin with us, but that it is a response to who God is. Worship is ultimately about God, not us. From there, Kauflin explores what worship looks like in the church, and makes it clear that worship is not only about music, but how we live our lives. We are to exalt God in both our heart and in our actions. As the church gathers, worship is both vertical, as we exalt the Lord together, and horizontal, as we build up and edify other believers. Kauflin then goes into the very practical elements of worship, focusing mostly on singing. Why should we sing? What happens when we sing? He even addresses some of the questions that people in the congregation have about singing, like “What if I can’t sing?”, “What if I don’t feel like singing?”, “Why do we sing so many old and new songs?”, and many more practical questions. Kauflin ends the books by talking about what it means to be in the presence of God, both here on earth, and concludes with a preview of what worship will be like in Heaven, when we are face to face with God. True Worshipers is an excellent resource all worshipers. Pastors should encourage their congregations to read this book. This would make an excellent book for a small group to go through together. Worship Pastors should definitely consider using this book with their worship teams! It would make an excellent Bible study on worship for teams to go through together. There is even a free study guide available at Crossway.org with questions for each chapter. Bob Kauflin has once again given the church in True Worshipers an excellent resource that teaches people about a right theological view of worship, the importance of gathering for corporate worship, the value of praising God through singing in all circumstances, and the promise of worship in Heaven.